How To Install ClockworkMod Recovery On Samsung Galaxy Tab 2 10.1? In order to personalize your Samsung Galaxy Tab 2 10.1, you have to become familiar with it by meddling with it. Thus the CWM Recovery system is absolute important (Link) for your work. Senior XDA developer welt won along with other developers have prepared a manual which will help you install and use CWM Recovery thus providing complete access to the device. All the instructions provide below are to be used for Samsung Galaxy Tab 2 10.1 on model numbers GT- P5113, GT- P5100 and GT- P5110 only. These may not hold true when installed on any other device. The purpose of this manual is strictly to provide information and education on this subject. No certification that same instructions can or cannot be followed in a different scenario can however be provided. Any problem in your device from following these instructions will be your responsibility only and not of anyone else. Read the manual carefully before applying. Instructions for flash counter or download counter are also available in the manual. Install Samsung KIES (http://www.samsung.com/us/kies/) on your PC. From it download and install necessary USB drivers on your computer. Close Samsung KIES before moving to the next step. A Rooting package. It can be downloaded from the following links. Download ClockworkMod Recovery Image (http://nfye.eu/gtab2/recovery.tar.md5) to your PC. WinRAR or 7-Zip extraction tool should also be present on your computer before initiation of anyfurther process. In order to avoid disturbance during the download process deactivate anti-virus softwares, firewall program and Samsung KIES. Make sure 70% or more battery is present in you Galaxy Tab to make sure that the process is completed without any disruptions. Create a backup of all your data (for eg., contact numbers, email addresses, SMS, MMS, internet settings, Wi- Fi passwords and such similar data) on your phone so that it can remain saved even if it gets deleted from the device. First step is to turn off your tablet. Then restart your Samsung Galaxy Tab 2 10.1 into Download mode by pressing Power key and Volume Up key and holding it until a warning message with a yellow triangle appears. When this sign appears press the Volume Down key to maintain the Download Mode. Extract Odin3-v1.85_3.zip file on your computer and double click the Odin3 v1.85.exe file to intiate the launch of Odin on your computer. Use a USB cable to connect your tablet with your computer. In Odin the word “Added” will appear. If not so then check for the presence of necessary drivers on your computer. Press “Start” to initiate flashing of ClockworkMod Recovery on to your tablet. A box in the top leftmost corner of Odin will turn green indicating the completion of the process. The tablet will automatically reboot at the end of the process. Now you can disconnect your tablet from the computer. First of all to the root of the external SD memory card (/mnt/extSdCard) of your tablet copy the file cwm-root-gtab2.zip or cwm-root gtab2a.zip. Make sure that it is not placed in the intyernal memory of the tablet. /mnt/sdcard folder is undetectable in the CWM Recovery. Turn you Samsung Galaxy Tab 2 10.1 off. Restart it in CWM Recovery Mode by pressing and holding the Power button and the Volume Down key. Remove your hands off the power button when the Samsung logo appears but keep pressing the Volume Down key. (Volume keys for movement and power key for selection can be used during the process). Choose “Install ZIP” from the memory card and find the file cwm-root-gtab2.zip or cwm-root-gtab2a.zip file. On the next screen that appears approve for the start of the rooting process. When the process is complete restart your computer by selecting “Reboot System” from the main menu. After the tablet has restarted disable the SuperSU app. (Locate it in app drawer. If not present install from Google Play Store. 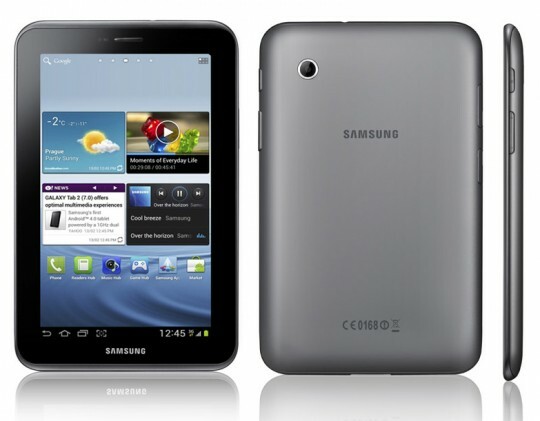 The process of CWM Recovery installation is now complete on your Galaxy Tab 2 10.1. Feel free to comment!